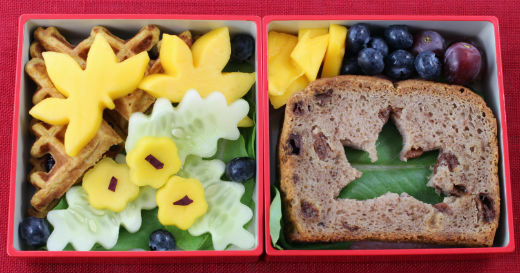 Sierra had her first day of school today, and I sent her off with a proper cute lunch. Her little sister doesn’t start preschool until next week, so we had a day with just the two of us. I cleaned the whole house (that felt awesome). Then Hannah and I planned a “first day of school party”. Hannah loves planning parties- she made a cute sign for the front door- it said, “You are invited to a party… surprise.” She wrote all of the letters herself and was very proud. 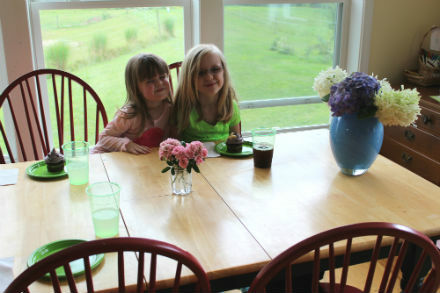 We set the table, picked flowers, hung some streamers, and baked brownie cupcakes (I used this recipe). Hannah said she was “hoping for a hug” from Sierra (so sweet)! 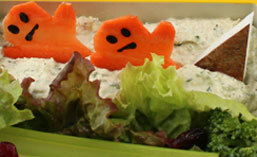 This entry was posted in Bento and tagged cute lunch. Bookmark the permalink. Did she get her hug??? 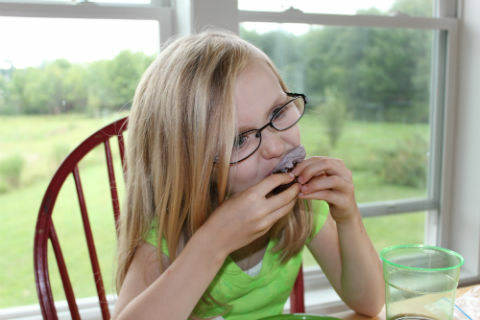 I am curious what the other kids think about her really cool lunches? Probably no one else has them as unique as these!! Sierra did hug her. Sierra says the other kids don’t talk about her lunches in public school but in the private preschool they often admired the fancy lunches. So exciting. Ethan’s first day of preschool is in a couple of hours. He is so excited.